Global digital agency Possible has announced the launch of a new digital platform for Small Luxury Hotels of the World, the bespoke luxury holiday website. Possible was responsible for providing a new brand positioning and completely revamping the brand’s digital experience across all platforms including tablet and mobile, matching the premium, unique and seamless experience that guests encounter when staying at SLH hotels. With an unrivalled collection of 520 independently owned boutique hotels in 80 countries, SLH offers a customised experience that helps users find their city-centre sanctuaries or even an idyllic private island. Justin Cooke, UK chief executive at POSSIBLE, commented: “The high net worth traveller is a voracious user of digital services with an average of 2.6 digital devices and 76 per cent using them to buy online. “This ‘new normal’ means that their expectations are not constrained to what luxury hoteliers can muster, but are measured against the best online experiences on the planet. “To achieve this, Possible focused on using best practices to streamline the functionality and navigation, presenting users with an experience that would elicit excitement about the selection of hotels. Possible also worked with SLH to define their overall global brand positioning as the ‘Champions of Small’. Through a new tone of voice as well as a fresh look and feel, the brand is using this digital destination to showcase the details and individual experiences that separate small, independently owned luxury hotels from their competitors. 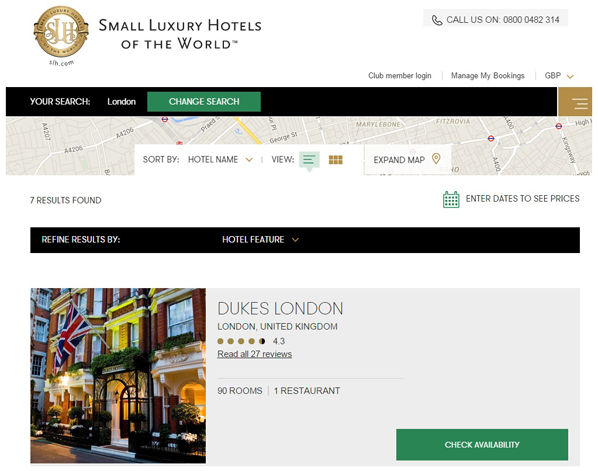 Paul Kerr, chief executive at Small Luxury Hotels, stated: “Just as SLH hotels can offer a beautifully considered hotel experience where no detail is too small, every pixel on SLH.com has been carefully considered and crafted. Through the integration of sales force CRM, reservation data and web analytics, Possible has been able to develop a deep understanding of SLH customer behaviour. The result of this integration and understanding is a powerful, new digital platform that is mobile and tablet-led. Using this insight, Possible created a search and inspiration-based navigation structure that transforms how customers can find and plan their holidays in new and unusual ways. The whole digital experience allows SLH to deliver subtle, useful personalisation and optimisation features and a truly bespoke guest experience. Following a partnership that has lasted over five years, Possible London has been working with SLH to redefine the concept of digital luxury travel experiences. 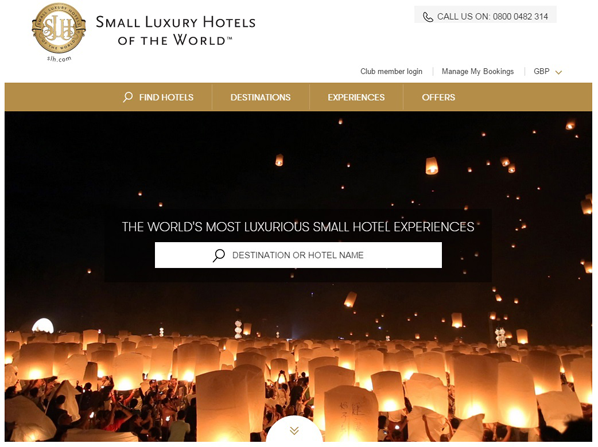 As a result, online reservations have increased by 45 per cent year on year and, in 2013, SLH.com was voted the World’s Leading Luxury Hotel Brand Website at the World Travel Awards, with the site being short listed for the same award in 2014.